When Security is A Must! The new 4C Mailboxes are built with features that promote mail security. 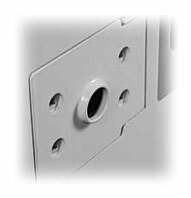 3-Point Lock Cam secures the door in 4 places including the hinge side. 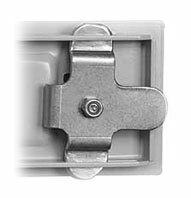 Smaller Carrier Access Door provides smaller pry points and increased overall strength. Postal Products Unlimited, Inc. is first to manufacture the USPS approved Standard 4C Horizontal Mailboxes – primarily to be used in apartment complexes, commercial buildings and multi-family homes. In cooperation with the USPS and a National Consensus Committee, we have designed the 4C mailbox to meet today’s consumer mailing habits, as well as provide increased security. As of October 6, 2006, the 4C Horizontal Mailbox will be mandatory on any new construction projects. 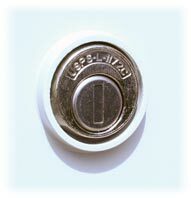 Arrow locks are only allowed to be installed on units that meet the current specifications. Please call us for assistance with drawings or choosing the appropriate 4C mailbox for future projects. 4C Mailbox CAD files are available to download. Interested in USPS approved outdoor mailbox systems? Find out more about Cluster Box Units.